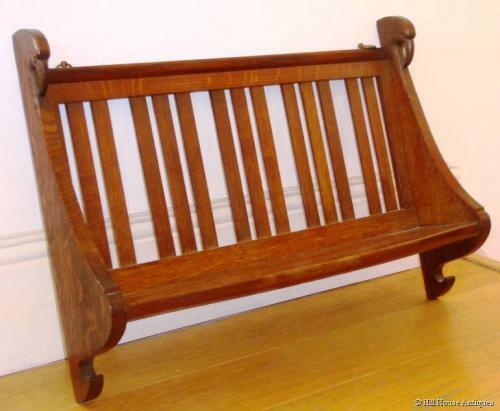 Unusual & well made Arts & Crafts oak small wall display rack with slatted back and stylised shaped sides and grooved base and carved eagle`s head to each side. Stamped/incised number to back "1950a". Can be used for displaying decorative items, plates etc, or perhaps small books. Attributed to Arthur Simpson of Kendal. c1910.